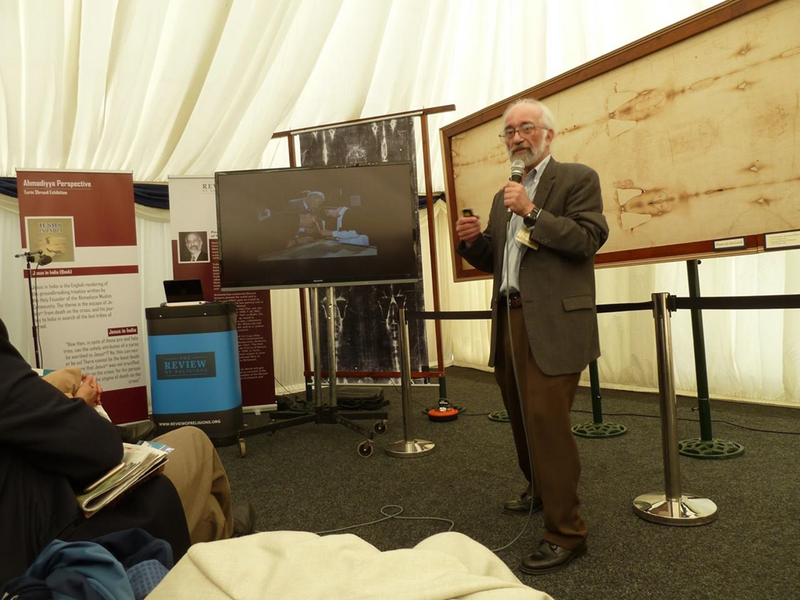 More than 30,000 Muslims gathered in Hampshire this weekend to hear Barrie Schwortz, an Orthodox Jew, discuss the significance of the Shroud of Turin, a Christian artefact. The Jalsa Salana UK Convention is run by the Ahmadiyya Muslim Community, which believes the Shroud of Turin bears the image of Jesus, alive in the tomb after his crucifixion. In the Jewish tradition, to which Mr Schwortz adheres, Jesus and his mission are completely rejected. While most Orthodox Muslims believe Jesus was a righteous prophet, who was never crucified and, instead, ascended bodily to heaven, the Ahmadiyya Muslim Community believes he was crucified but survived after his friends restored him to health with healing ointments and herbs. The report is incomplete … or she understands next to nothing about religion. The group is generally not accepted as Islamic.